Learn Good Agricultural Practices (GAPs) for small and large growers. 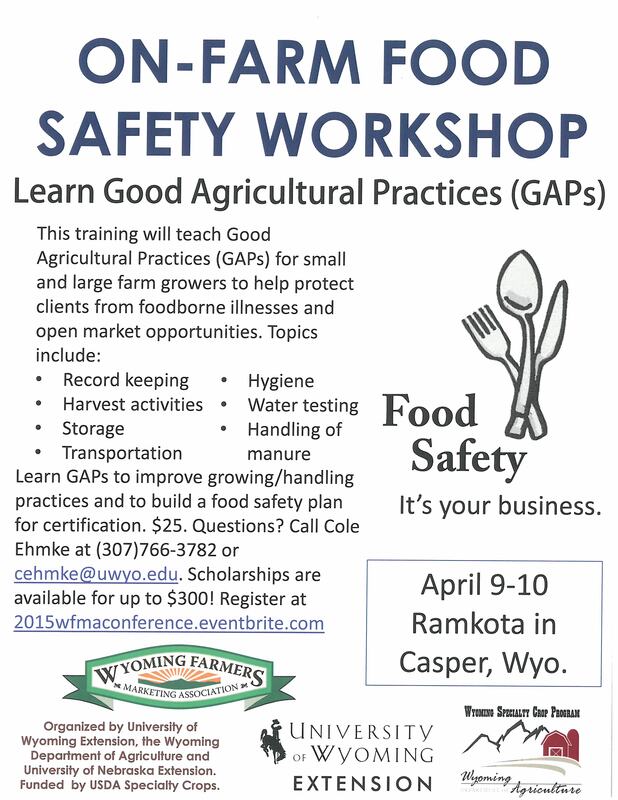 This workshop will be held in Casper, Wyoming on April 9th & 10th. For more information visit GAP. « March 12 is World Kidney Day!